Analysis: The White Sox enter today’s contest with a woefully inadequate offense that is batting .248 with a .297 on base percentage this season (3.7 runs per game), including hitting .246 with a .300 on base percentage in day games (3.8 runs per game) and .274 with a .289 on base percentage over the last ten days (3.1 runs per game). 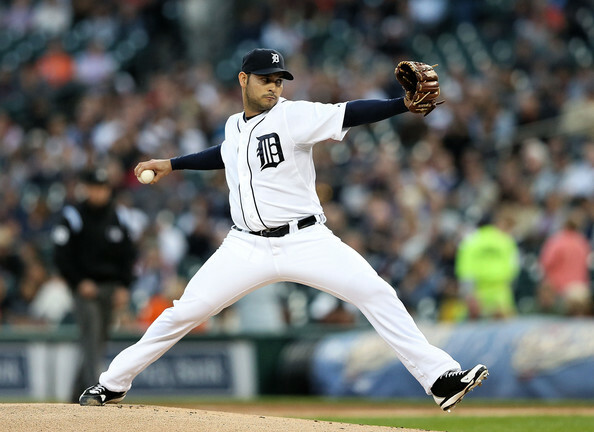 Now, Chicago has to face the game’s most underrated pitcher in Anibal Sanchez, who has garnered an impressive 2.70 ERA and 1.13 WHIP in 2013. Moreover, Sanchez is 5-1 with a 1.64 ERA and 0.79 WHIP at home, 3-1 with a 2.10 ERA and 0.96 WHIP in afternoon starts, 2-1 with a 1.88 ERA and 1.01 WHIP versus division opponents and 2-0 with a 2.30 ERA and 1.14 WHIP over his last three starts. Sanchez’s elite command and control are evidenced by an outstanding 105/24 K/BB ratio in 86.7 innings of work this season, including a 63/9 K/BB ratio at home (44 IP) and a 33/13 K/BB ratio in 28.7 innings against division foes. From a technical standpoint, Sanchez is a profitable 16-5 (+7.9 units) as a large home favorite, including 5-1 (+2.8 units) as a home favorite this season. Meanwhile, Chicago starter Chris Sale has really struggled versus division foes this season against whom he is 1-3 with a 4.45 ERA and 1.29 WHIP. More importantly, Sale is 0-3 with a career 6.00 ERA and 1.56 WHIP versus the Tigers, including allowing a combined nine earned runs on 13 hits and 8 walks in his last 13 innings pitched at Comerica Park. Sale also finds little to no support from a Chicago bullpen that owns a pedestrian 4.31 ERA and 1.46 WHIP in 2013, including a 4.68 ERA and 1.41 WHIP in day games, a 4.80 ERA and 1.52 WHIP versus division opponents and a 6.88 ERA and 1.94 WHIP in its last seven games. Consider the fact that Chicago relievers have issued fourteen walks in their last 17 innings of work, including yielding fourteen runs in the process. Sale’s continued woes at Comerica Park look to continue against an explosive Detroit offense that is batting .300 with a .367 on base percentage at home (5.5 runs per game) and .281 with a .351 on base percentage over its last seven games (6.7 runs per game). Detroit has also dominated this series as evidenced by its 25-12 (+9.4 units) over the last three seasons, including going 15-4 (+7.8 units) at home. For added technical support, let’s note that Detroit falls into terrific 66-11 (+46.5 units), 71-14 (+46.0 units) and 40-9( +30.6 units) systems of mine that invest on elite starting pitchers versus sub-par offenses. I also like the fact that Chicago is a money-burning 8-25 (-16.1 units) versus teams allowing less than 4.8 runs per game, whereas the Tigers are 27-8 (+15.1 units) versus similar foes who allow less than 4.8 runs per game. With Chicago standing at 16-31 (-13.1 units) on the road, including 4-16 (-12.7 units) with a total of 7.5 runs or less, take the Tigers and invest with confidence. I am a profitable 229-170-5 (57.3%) on my free sports picks after Wednesday’s winner on the San Diego Padres (+130). Assuming you risked 1 unit per selection, a $500 sports investor would be up over $17,000 since June 7, 2007.